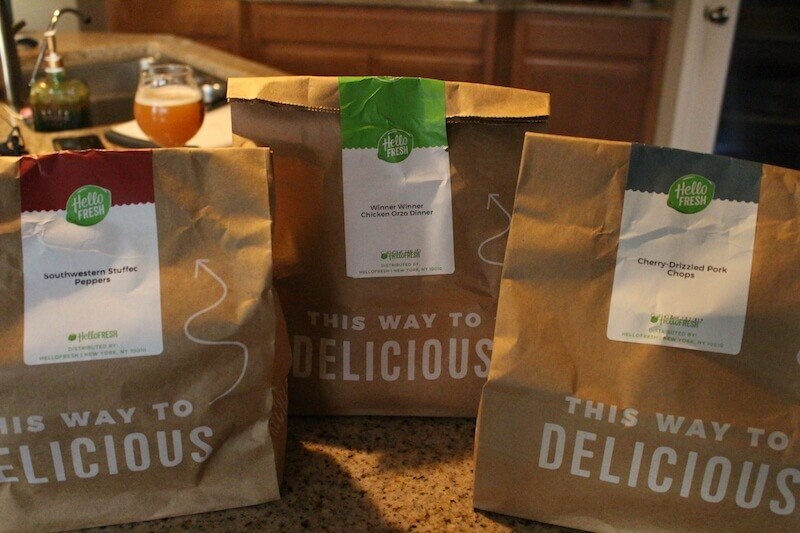 Hello Fresh Meal Kit Delivery Review: Worth The Hype? Is Hello Fresh the best? Let's dig into my personal experience and see if you should sign up, or if there's a better option out there. You can also sign up to see what discount they are currently offering for new members. I was actually a member of Hello Fresh about a year and a half ago, but signed up again from a promotion they ran. “Reactivate your account and receive a $30 discount”. Perfect timing. I'll just do a review of Hello Fresh for the blog. So in total, I only paid $29.94 for my 3-meal box, which works out to $10 per meal, or $5 per serving. Cheap! Normally you'll pay $9.99 per serving, so $20 per box. If you get the two-person meal plan, regardless of if it's vegetarian or 4 meals per week, it's still $9.99 per serving. Discounts are available for the family plan. Shipping is free for orders over $50, which includes the standard 3-meal per week plan. Much like Sunbasket, you can pick your meals from a few different options. They set up a default shipping, but you can switch it out before they send. Also like Sunbasket, they are labeled for which allergens they do not contain, including dairy, nuts, eggs, and gluten. However, if you are looking for a full meal plan with any of these options, you're out of luck. You'll have to hand-pick your options each time, and will be limited in choice since there's only 8 total meals to choose from. Got a food allergy? 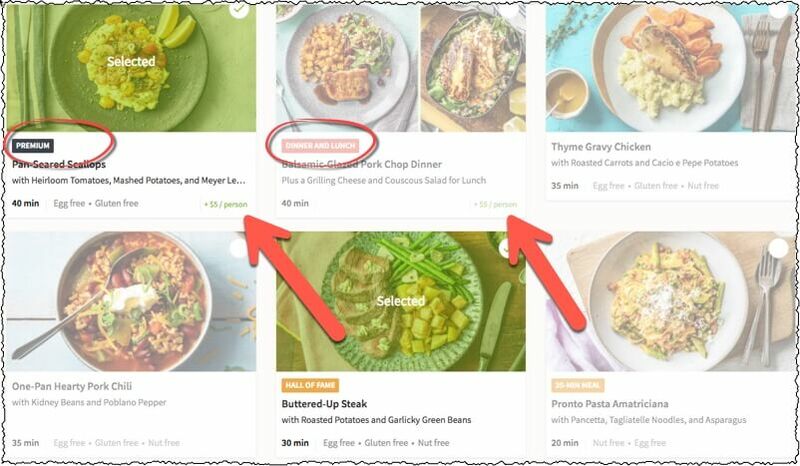 We're working on compiling a full list of meal kit delivery services that specialize in, or offer options for specific food allergies. It's a work in progress. So far, here's what we've got! The box arrived in about a week, and all food was still cold by the time I got home from the gym. It sat for a few hours in the California sun, so those ice packs really do work! I do like that the Hello Fresh meals are divided into individual bags. This makes organizing the fridge easier and just grabbing what you need when meal time comes around. 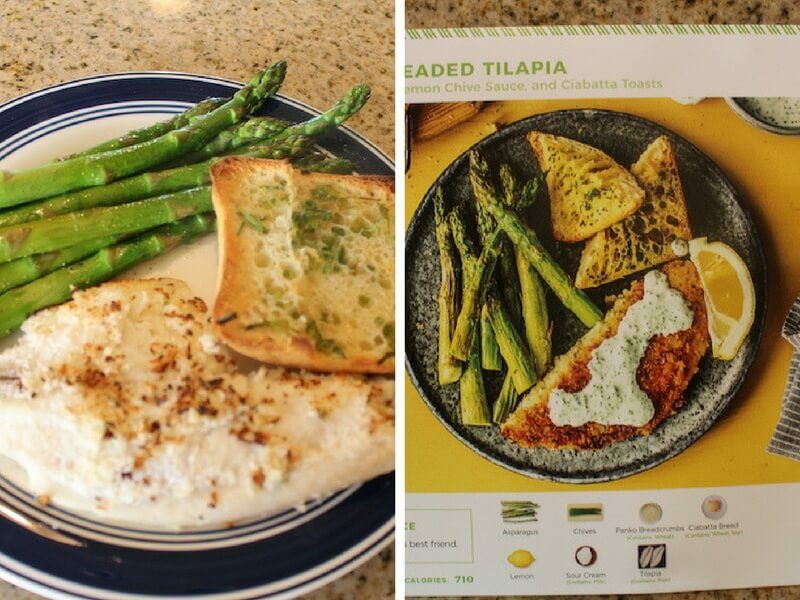 For me, part of the appeal of joining these meal kit delivery clubs is to explore creative dishes, learn new cooking techniques, and cook outside of the box. I get bored making barbecue chicken with seared veggies! One extra thing to complain about is that their recipe cards need some work. 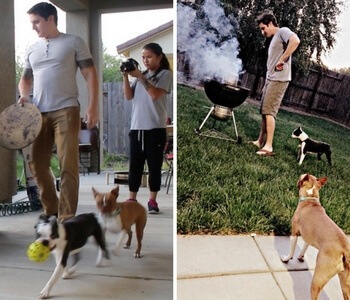 Several times while cooking their meals I found that some parts of the recipes were unclear. As a somewhat experienced person in the kitchen, I just winged it and it was fine, but I could see how a newbie could be confused in some areas. 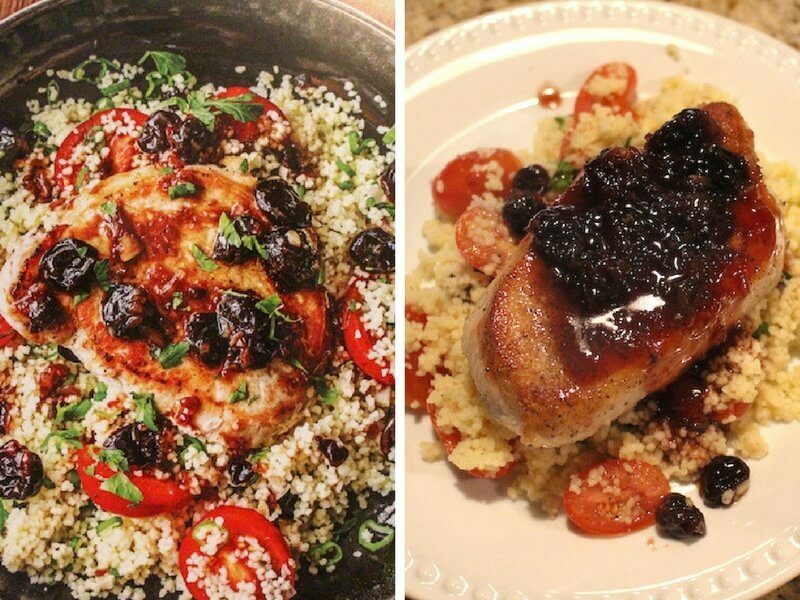 Despite my disappointment in the four meals I tried from Hello Fresh (plus the three I tried from a previous subscription), the cherry drizzled pork chops really wowed me! I love cooking fruit with meat. Something about the sweet and savory sauce really tastes amazing. Plus, I'm just a general fan of pork, so I was impressed. It's getting to be winter here, so taking photos with natural lighting is getting harder, hence the kitchen glow on my version of the dish. Even though the photos isn't great, this dish was. This one tasted good, but just wasn't anything special. Chicken and pasta with a side of veggies is just kinda boring. Again, this is just a meat and a veggie, without much to report. This was perhaps the most frustrating part of the experience with Hello Fresh. Although it was easy to cancel my shipment online, somehow, a mistake was made and I was sent a second shipment of the same week. The second box came just a few days after the first box arrived. It turns out, that when I re-joined Hello Fresh as part of a promotion (I was previously a member for a week), it created a second account. So not only did I activate the new account, but I also activated my old account too! When I called to get a refund for the accidental box, I was transferred to a supervisor…but was on hold for over 45 minutes. Yup. Almost one hour on the phone waiting to speak to a supervisor! The story goes that there was only one person available and they were busier than usual. Eventually, I was able to get the refund, and they didn't hassle me about it. So I guess I got a free box of food. However, with the multitude of options of other companies to choose from, this was just another strike against Hello Fresh. In a nutshell, I wasn't that impressed with Hello Fresh. Sure, the food was pretty good and the meals were easy enough to cook, but it just didn't offer the variety I was looking for. I feel like if I'm paying a premium to have food delivered, it better be impressive. I can easily cook a meal for several people for $10, so having a $10 per serving dish should be unique, fun, and over-the-top delicious. 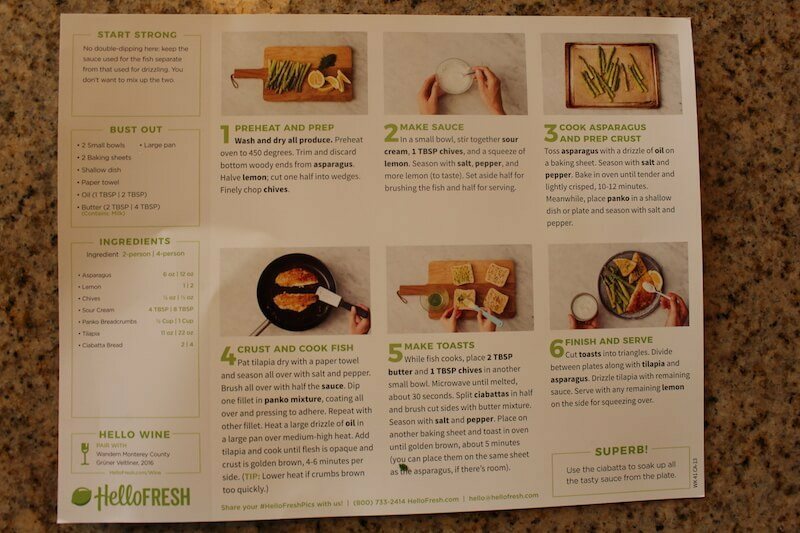 With Hello Fresh, it was very basic ingredients and simple stuff that I could whip up just keeping average ingredients around the house. This food kit delivery service would be great for a novice cook, or for someone that likes un-adventurous food and simply doesn't have time to shop at the grocery store. Personally, out of the three meal kit programs I've tried so far, this was my least favorite. Sunbasket was my favorite, but it was more expensive at $26 per meal! However, despite all I have to say about this service, it's actually the favorite meal kit of my girlfriend's brother and his wife. 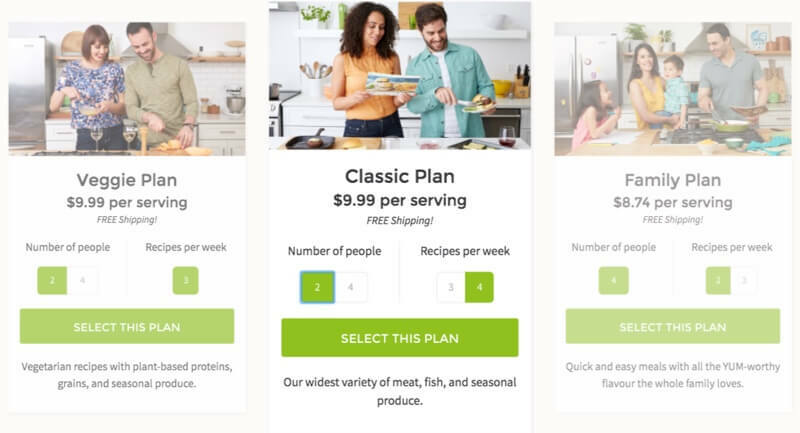 They have tried Blue Apron and a couple other services, but they like that Hello Fresh is simple, and it saves them time during the week. The cost and ingredients aren't that important to them, as long as it's healthy, tasty, and fast to make. It's funny how there's a meal kit service for everyone! 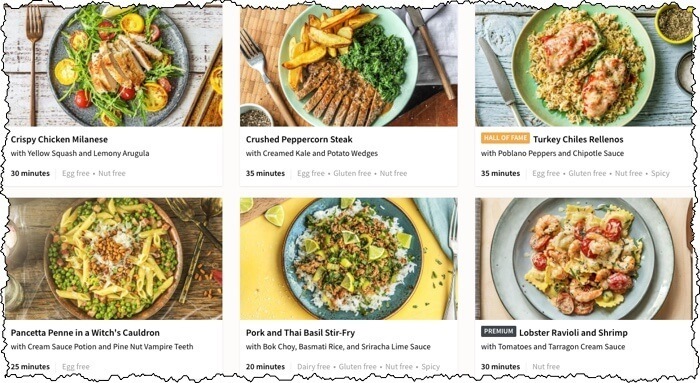 ==> Sign Up For Hello Fresh Here! I sometimes go back and try services a second or third time when deals roll through, so I can get some perspective on new recipes, and other offerings they have. 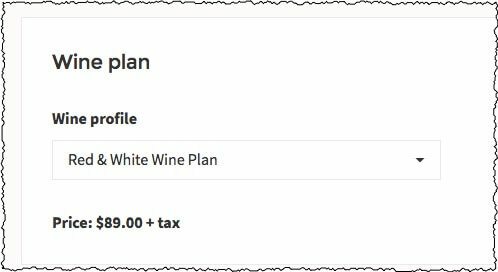 This time, I'm giving Hello Fresh a second try, to test out their wine service. Hello Fresh and Blue Apron both offer wine pairings, so I thought it would be interesting to compare them side by side. More on that coming soon! While signing up, I also discovered some “premium options”, which I hadn't seen before. It looks like you can get some premium meats (in this case scallops), or have an extra large serving of food to make for lunch the next day. I'm not sure if this is a second meal to create for lunch, or a meal to create together, so you have leftovers. The wine plan was pretty pricey ($15 per bottle), so I opted out of the extra food items for now. $5 per person is $10 extra per meal. Maybe next time! 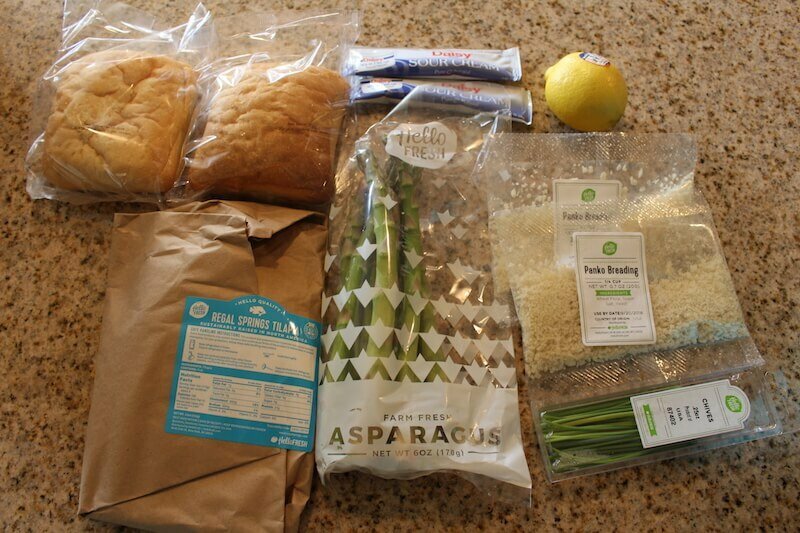 You are here: Home / Blue Apron / Hello Fresh Meal Kit Delivery Review: Worth The Hype?